Super Bowl XLIX or Super Bowl LI: Which was better? The Patriots have been involved in two Super Bowl classics over the past three years. From Malcolm Butler's last-second interception to the Pats' unbelievable 25-point comeback, New England fans have definitely been spoiled recently. But the debate remains: which Super Bowl was better? Super Bowl LI may have been great for Patriots fans, but it was only really great for a quarter and a half. The rest was just New England getting tossed around like a rag doll by Matt Ryan and the Falcons--not exactly exciting or entertaining. On the other hand, Super Bowl XLIX was a close match from start to finish, and had plenty of drama despite lacking a 20+ point comeback. You may forget this, now that the Pats have come back from over a three-TD deficit, but they tied the comeback record for the time in Super Bowl XLIX. Prior to New England, only two teams had come back from a 10-point deficit to win, and no other team had done it in the fourth quarter. It may not have been as flashy as this year's affair in Houston, but it was still plenty entertaining--and it had one of the best finishes in Super Bowl history. Just because Super Bowl XLIX was tight the whole way though doesn't necessarily mean it was better. 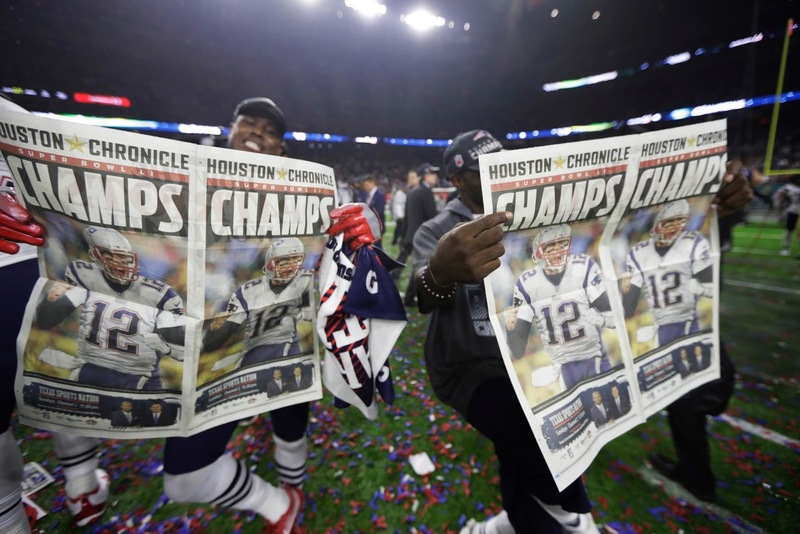 Super Bowl LI had a far better comeback, and the complete improbability of it all made it even sweeter for Patriots fans. Julian Edelman's miracle catch helped erase memories of unbelievable grabs from David Tyree and Mario Manningham in past big games. From a historical standpoint, LI clearly defeats XLIX. It was the Patriots' retribution for the Deflategate saga, and it cemented Tom Brady's legacy as the greatest quarterback of all time in most circles. While XLIX may have launched Malcolm Butler's career and proved that the Patriots still had the sauce after a decade without a title, Super Bowl LI just meant more from an emotional standpoint. Also, both teams combined to effectively re-write the history books in LI, setting or tying over 20 records over the course of the game. The first overtime Super Bowl definitely didn't disappoint. Both were filled with great plays, and they both turned out alright for Patriots fans, but overall Super Bowl LI was probably the better one. The margin is razor-thin, but the added emotional layer and improbability of the miracle comeback make it just a little bit sweeter in my book. Which game do you think was better: Super Bowl XLIX or Super Bowl LI?